Toyfriends that hit your spot! 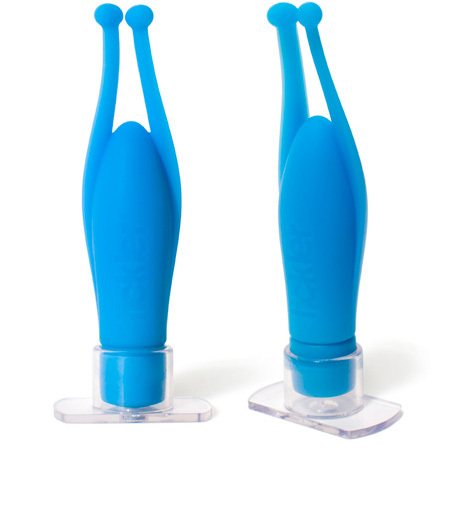 The Original Toyfriends are Ticklers first family of playful vibrators. 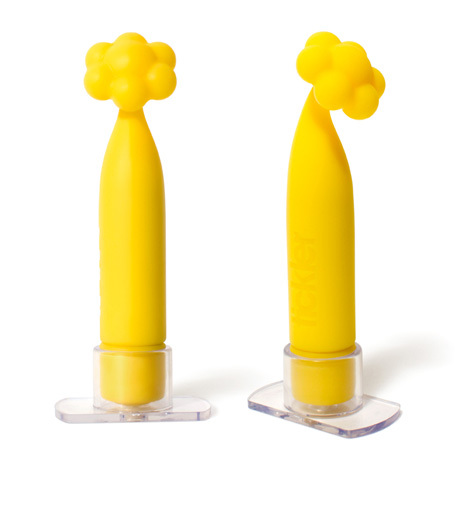 Cute, Sunny, Mystic, Bunny and Rebel Toyfriend are Swedish-designed quality vibrators that are easy and fun to play with. The Original Toyfriends are different in character and design but share some basic qualities: They are all quiet, energetic, waterproof and made of smooth, body-safe silicon. The products come in a contemporary packaging with a stand for storage and display. Battery is included and the products are ready to use. Cute Toyfriend has a medium-strength vibration and a large softly rounded surface as well as well-defined angles to play with. The strong stem creates pressure that makes Cute suitable for internal as well as external use. Sunny is a very positive and speedy Toyfriend with a fast-paced yet softer vibration. Lots of nice bubbles in combination with the soft stem create a very intense and joyful toy. Bunny is the most energetic of the Original Toyfriends and has a strong and fast vibration and a slightly harder silicone for intense stimulation. Bunny’s two flexible ears create a popular “hugging” option.